Over the years, Hollywood and the movie industry have brought us what seem like fantastical and futuristic movies, but if you look back, many of the things, which once seemed bizarre and unusual are now commonplace and everyday. In 1990, ‘Total Recall’ brought us into an onscreen world of driverless cars. Well ahead of its time, the 1927 movie ‘Metropolis’ saw a future with androids. In 1996, in ‘The Cable Guy’ Jim Carrey’s character predicted a time when there would be a mixture of cable TV, a computer and phone all in one device. In 1998, Tom Hanks and Meg Ryan hit it off with a love developed via email in ‘You’ve Got Mail’ – nowadays, many couples we meet have had their first introduction online. In the same year, ‘The Truman Show’ gave a nod to the future of reality TV. 2002’s ‘Minority Report’ gave us a future with facial recognition technology and personalised advertising – both very much things of the present day. Looking at modern day homes, many of them would simply not function without the internet and many traditional appliances are now powered remotely. Taking a look at the basics first, most homes are equipped with a number of mobile phones, tablets and computers, but their security system is most likely online, many home owners have a live CCTV feed straight to their phone or computer and things like Smart (Wifi) plugs enable home owners to remotely turn on and off appliances while they are not at home. 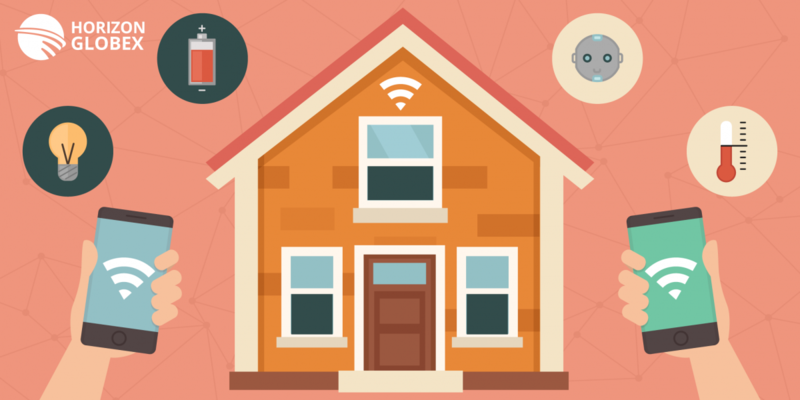 The Internet of Things is at the heart of home automation and what we now dub as smart homes. Smart TV’s have bridged the gap between traditional computer use and family screen viewing, bringing things like YouTube, Netflix and more right to your television. Thermostats with a remote sensor to adjust hot or cold temperatures accordingly take away the horror of coming home to an uncomfortably hot or chillingly cold house after a long day. Robot vacuums take the manual labour and hassle out of vacuuming your home and getting into tight corners and under furniture. Similarly, robotic lawnmowers take the hard work out of tending to the lawn. Looking back at the above list of movies predicting things from the future and what our modern homes are equipped with, keep an eye out for the new-fangled inventions in sci-fi and futuristic movies – they may just be a nod to the future.